This past Saturday was the date of the Annual Plant Sale put on by the Perennial Plant Society of Middle Tennessee (PPSMT). Still, I didn't leave empty-handed. Far from it. In fact, I walked out with four boxes of perennials totaling some 30+ plants. How much did this prodigious haul cost me? Round about $200. In my mind, that's a bargain. As the PPSMT noted in their advance materials for the sale, their goal was to put on a sale with Big Box (Home Depot, Lowe's) prices, but with a broader selection and higher quality. - Aquilegia canadensis - Aquilegia is supposed to attract hummingbirds, although I haven't seen any so far on my A. vulgaris. From my experience with A. vulgaris, Aquilegia (a.k.a. Columbine) has a decently long bloom season of approximately four weeks. The plant is reported to be short-lived (my mother actually insists it's an annual) but two of our plants have now survived the winter and actually look stronger and healthier this year, especially the one that gets lots of morning sun and afternoon shade. 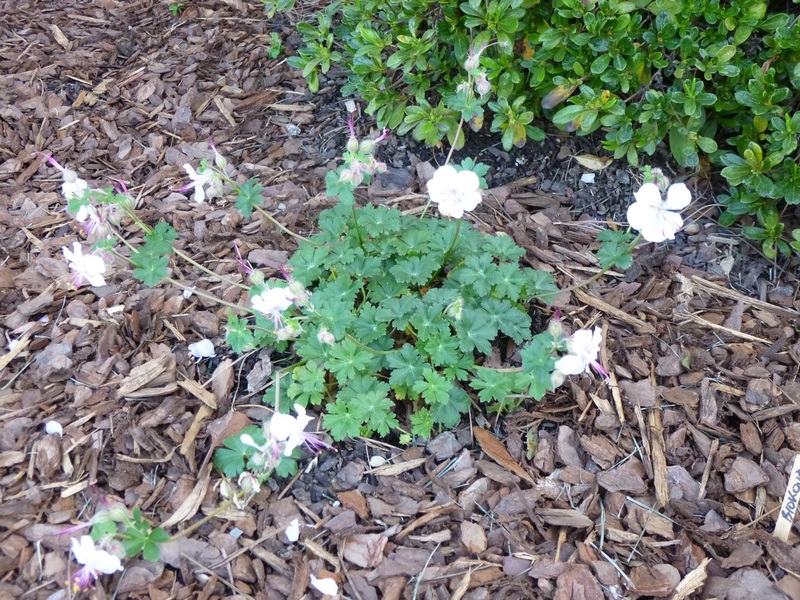 In Tennessee's hot summers, I've found that Aquilegia's foliage will deteriorate (fading and getting attacked by what I believe are leaf miners), but that cutting the foliage to the ground will cause fresh foliage to resprout without any obvious harm to the plant. This is my first experience with A. canadensis, which is native to North America (Canada, as the name implies, but also throughout Eastern North America, including Tennessee). Missouri Botanical Garden says that A. canadensis has good resistance to leaf miners. I only found a couple of seedlings this year from my A. vulgaris "Winky" hybrid, but I hope and magine that this species Aquilegia may self-sow more freely. - Baptisia australis, Blue False Indigo - The flowers of False Indigo are supposed to be attractive to bees and the plant itself is supposed to be very drought tolerant and able to grow well on clay soils. From what I understand, this is one tough cookie. Oh and it is native to Tennessee (and much of the rest of Eastern North America). Blue False Indigo has received some major awards, including 2010 Plant of the Year from the Perennial Plant Association and the Award of Garden Merit from the Royal Horticultural Soceity. As a legume, it can fix nitrogen from the atmosphere. Although Blue False Indigo reportedly resents transplantation or division, it can supposedly be propagated from seed without too much trouble, although the new plants may take a few years to get established. - Dryopteris x australis, Dixie Wood Fern - Native to the Southeast (including Tennessee), this fern can grow to more than 4-feet tall in shady spots and is listed as being hardy to zone 5 or 6. It doesn't look like much in its dormant state, and I was told by one of the volunteers at the plant sale that those dormant plants are typically passed over and are sometimes the only ones left as the plant sale drags on. That's why it pays to do some research in advance so you can visualize what a plant will look like when it breaks dormancy. (Either that or I've foolishly bought a dead plant. Only time will tell, but you've got to be willing to make that leap of faith sometimes.) 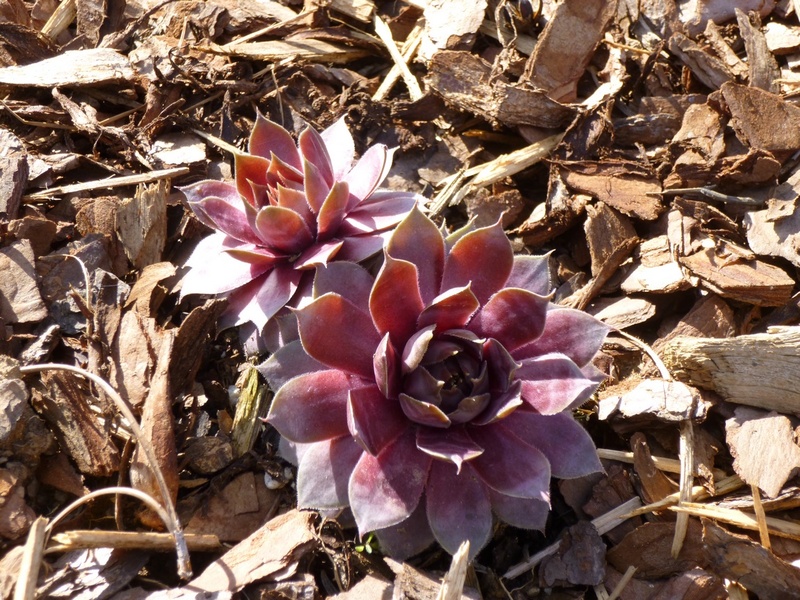 Supposedly performs best in moist soil but is drought tolerant once established. This will be my first fern. - Epimedium x perralchicum "Frohnleiten" - These are also shade plants, hardy to zone 4 or 5. There are lots of different varieties and the one that interests me most is Epimedium x versicolor Sulphureum, because supposedly it spreads quickly and can be used as a tall (1 or 1.5-feet high) groundcover. But the PPSMT plant sale didn't have that one, so I settled for one that looked nicest. A lot of epimediums supposedly perform more as clumpers than as spreaders, but we'll see how this does and if it thrives, perhaps I can divide it to help it spread someday. 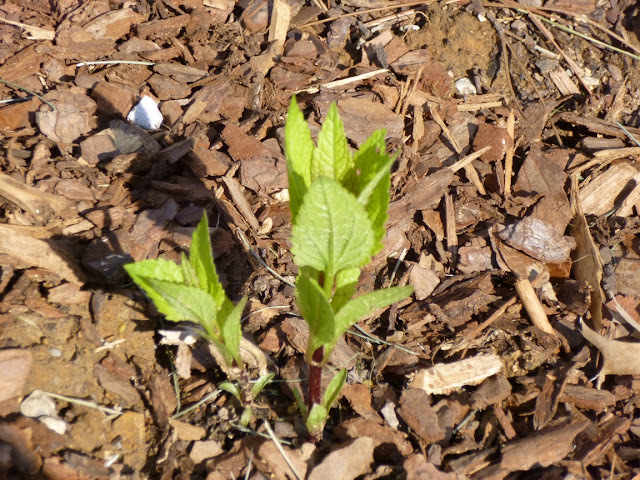 - Eupatorium dubium "Baby Joe" - A dwarf version of Joe-Pye Weed, this plant likes full sun and is supposedly hardy to zone 3 or 4, native to the Eastern U.S. (maybe not Tennessee, but our easterly neighbors, the Carolinas). Its top reported attributes from my perspective include its long-bloom season (midsummer to autumn), its fragrant pink flowers, its propensity to attract a lot of butterflies and its ability to succeed in wet or dry soils (which is key since we have both droughts and heavy rains here in Tennessee). - Cranesbill Geraniums - I've been pretty happy over the past couple of years with my perennial Geranium Rozanne, so I wanted to try adding a couple more Hardy Geraniums to my garden. I was actually planning to order from Gardens in the Wood of Grassy Creek, but forgot to add them to my order, so I thought I'd see what the PPSMT plant sale had in stock. It turned out that they had one of the ones at the top of my wish list - x. cantabrigiense Biokovo. I've also been wanting to try a Geranium sanguineum (Bloody Cranesbill) and sure enough I was able to pick up a variety of G. sanguineum called "New Hampshire". - Gaillardia "Arizona Apricot" - I have to confess that I don't have particularly high hopes for Gaillardia (also known colloquially as Firewheel or Indian Blanket). Although Gaillardia is technically perennial to zone 3, from what I have read, the plant prefers sandy soil and dry winters, whereas Tennessee has heavy soils and wet winters. So odds are, Gaillardia will only perform as an annual here. Most species of Gaillardia are native to North America, although there are a few that are native to South America. Supposedly they can tolerate heat and drought without any problems, have no major problems with insects or diseases and can bloom for months. The main reason I wanted to plant Gaillardia - other than the fact that the flowers are pretty - is that I saw some Gaillardia flowers last year that were absolutely covered with bees and butterflies, and I like to support both of those types of pollinators. Oh and goldfinches (one of my favorite birds) are also supposed to relish Gaillardia seeds. Despite Gaillardia's famed sun/heat/drought tolerance, this was one of the few plants I bought that has looked a little stressed from the planting/transplanting process. But hopefully it will recover with time. Even if Gaillardia is short-lived in my garden, I hope that it may self-sow and thus act as a perennial through its progeny. - Heliopsis helianthoides, Ox-Eye Sunflower, "Summer Sun" - Another plant that is native to much of North America, including Tennessee, the Ox-Eye Sunflower is supposed to be hardy to zone 3. Although it is not supposed to be long-lived, it is supposed to self-sow. The flowers themselves are supposed to bloom for more than 8 weeks starting in midsummer. Bees and butterflies are both reported to enjoy the flowers, and birds reportedly like the ripe seeds. Other attributes that attracted me to H. helianthoides are its reported ability to tolerate drought and thrive in heavy clay soil. - Malva sylvestris "Zebrina" - From the photos I have seen online, "Zebrina" flowers look absolutely amazing. Thomas Jefferson is said to have grown this plant in his garden at Monticello. Other reported attributes that appeal to me include its ability to bloom from early summer to frost, its hardiness to zone 4, its tolerance of both heat and drought and its capacity to self sow profusely. Online sources report that Zebrina attracts loads of bees, butterflies, hummingbirds and hummingbird moths. I hope so! Monarda didyma, Bee Balm, "Jacob Cline" has beautiful foliage! I'm not sure I'd mind if this turns out to be as invasive as some reviewers claim. And I haven't even see the flowers (or the bees, butterflies and hummingbirds) yet! - Monarda didyma, Bee Balm, "Jacob Cline" - Hardy to zone 3, M. didyma is another plant that is native to much of Eastern North America, including Tennessee. As the name suggests, Bee Balm is supposed to attract bees, as well as butterflies and hummingbirds. I'm a little worried about its heat tolerance (we seem to be toward the Southern edge of its native range), so I planted it where it will get afternoon shade. At least it is supposed to be able to tolerate drought once established. 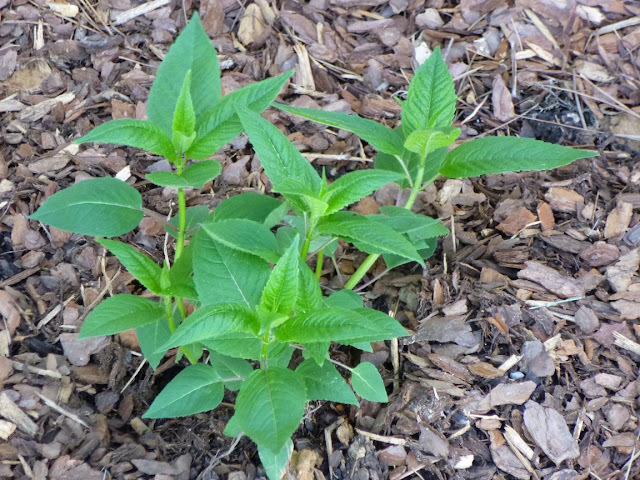 Monarda also has a reputation for spreading through underground stems, so we'll see if I regret not planting Bee Balm in a more confined space. (I plopped it right into the middle of one of my front garden beds.) The "Jacob Cline" variety is supposed to be one of the most mildew-resistant monardas, with a bloom season that lasts more than 8 weeks. American Beauties suggests leaving the dead stems standing over the winter to provide seeds for birds. 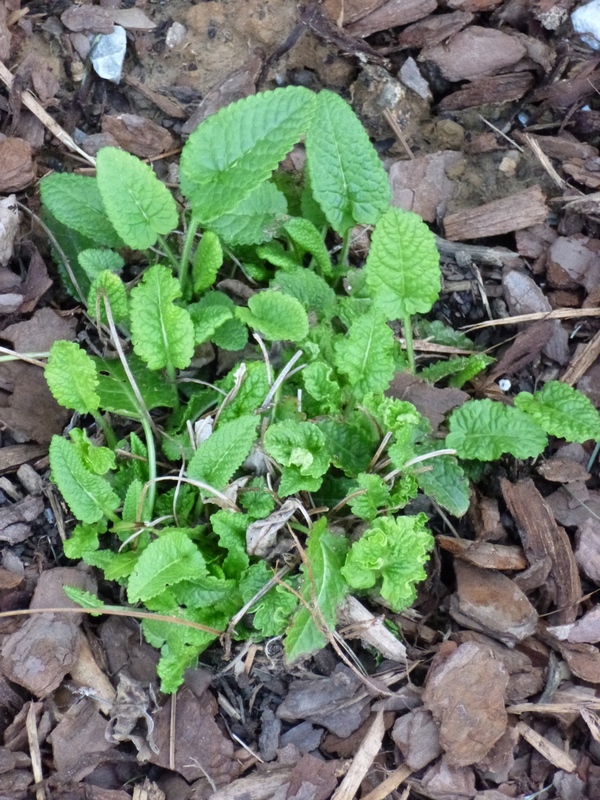 Missouri Botanical Garden reports that the leaves of this plant (which is related to mint) can be used in teas or salads. - Pachysandra procumbens, Alleghany Spurge - Native to the Southeast (include Tennessee), Alleghany Spurge is supposed to make a nice slow-growing groundcover that is hardy to zone 5. Native plant advocates suggest P. procumbens has an alternative to the far-more-commonly-used Pachysandra terminalis, an Asian plant that spreads far more rapidly and has been reported as being invasive in certain parts of the United States. I have to say that I once saw Alleghany Spurge at a local native plant nursery and thought it looked awful, but the specimen for sale at the Perennial Plant Society plant sale looked much healthier and larger, so I thought I'd take a chance on seeing how it performed in my garden. - Phlox paniculata, Garden Phlox, Tall Phlox, "Blue Boy" and "Eva Cullum" - Since the "David" Garden Phlox I planted two years ago has thrived and multiplied so nicely, I decided to try adding a couple more cultivars to my garden. I was all set to put them near to the three established clumps of David phlox (in full sun, Western exposure), but then I did a little research just to make sure I was putting them in the right spot, and it seems that P. paniculata really dislikes hot and dry soils. If that's true, I find all the more amazing that the phlox survived in the West-facing clay beds where the soil essentially turns to brick in summertime. Anyway, I decided to try these in beds that get afternoon shade, where the plants will only get half-baked in the summer. - Platycodon grandiflorus, Balloon Flower, "Astra White" and a blue one (either "Fuji Blue" or "Sentimental Blue" - lost the tag so not sure which one I bought) - I was gobsmacked by the beauty of the few balloon flowers I saw from a single plant that I added to the garden last autumn, so I decided to add a couple more balloon flowers to the mix this year. Platycodon is supposed to be hardy to zone 3, able to tolerate sun or partial shade (the one I planted last year is in partial shade, but I put one of these new ones in full sun, just to see if it can take the sun here and maybe produce more flowers). Supposedly Platycodon does not require division, tolerates heat and drought and can live for more than 15 years. It may even self sow a little bit! My only concern is that Kitazawa says that Platycodon prefers sandy loam and is susceptible to root rot in heavy soil, although the balloon flower I planted last year seems to have survived the winter without incident. - Scabiosa columbaria, Pincushion Flower - This was an impulse buy (not on my 'shopping list'). I sprang for this plant based on the fact that it is supposed to be very attractive to butterflies. On the other hand, I'm worried about the fact that some of the information online says that it requires excellent winter drainage (in short supply here) and needs to be divided every few years. - Sedum ternatum, Whorled Stonecrop - Native to the Eastern U.S., this sedum is supposed to make a nice 4-6 inch tall evergreen groundcover. The white flowers are reportedly a good early spring nectar source for bees and butterflies, although the ones I bought do have some flowers on them and so far I have not seen a bee or butterfly on either one. I put these in partial shade because they were listed on their tags as being woodland plants and are supposed to be able to tolerate moist and shady areas better than most sedums. Sempervivum, Hens and Chicks, "Red Rubin"
- Sempervivum, Hens and Chicks, "Red Rubin" - Another impulse buy, I put this sempervivum next to some of the sedums (Autumn Joy, Autumn Fire and Vera Jameson) plus Dianthus Firewitch. - Stachys byzantina, Big Ears, Helene von Stein - A lady who was working the plant sale told me people grew Lamb's Ears in their gardens hundreds of years ago because they could use the soft leaves both as bandages and as toilet paper. I will say that the leaves are very soft and fuzzy. I found Helene a bit difficult to transplant. The leaves seemed to tear and get tattered pretty easily. And it seemed fairly unhappy for the first couple of days after the transplant, sulking and looking awfully windblown. But after settling in for a few days, it is looking much happier and healthier now. From what I've read, these plants are supposed to be much tougher than they look - able to tolerate wet or dry clay, full sun or afternoon shade, humidity, drought and bulldozers. (I made up that last one.) 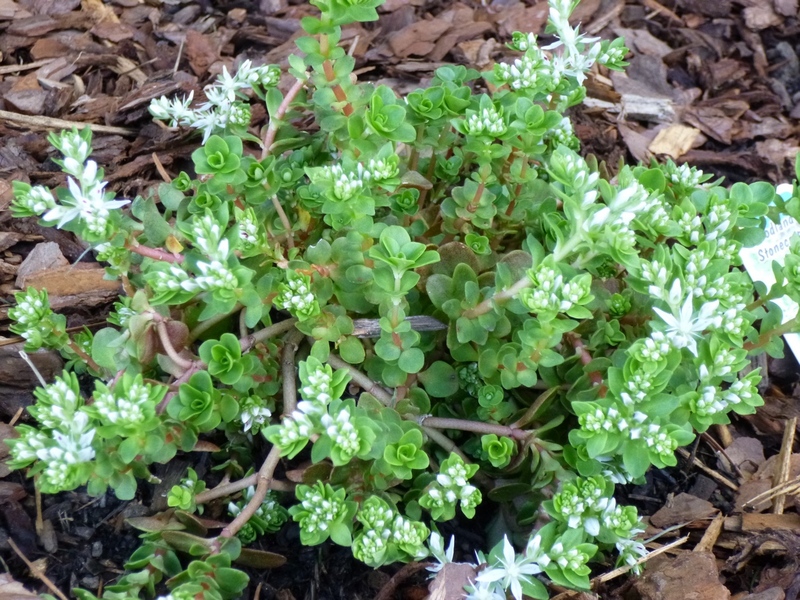 Several reviewers at Dave's Garden strongly recommend it as a full sun groundcover and is supposedly easy to propagate by division. - Stachys officinalis, Betony, Hummelo - Another Lamb's Ear, but very different than Helene von Stein. According to Missouri Botanical Garden, Betony prefers afternoon shade in hot and humid summer climates, so I put in the front of the house where it will get morning sun and Eastern exposure. Reportedly does not have as much drought tolerance as Helene, but it does redeem itself with flowers that are supposed to bloom from July to September. 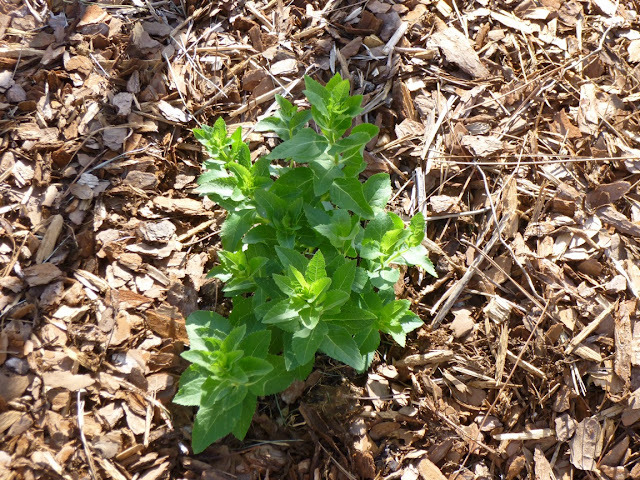 And like Helene, it can reportedly spread to make a good groundcover. - Tiarella cordifolia, Foamflower, "Pink Brushes", "Pink Skyrockets" and "Running Tapestry" - I've been looking for more evergreen groundcover-type plants and Tiarella seemed to fit the bill. Native to Eastern North America (including Tennessee), Foamflowers are supposed to grow best with partial to full shade. I put them where they will get Northwestern exposure. I'm hoping that the late afternoon sun won't be too strong for them, but I don't really have many heavy shade places on my property. Although Tiarella may need some supplemental water in drought conditions, I'm hoping it's tough enough to survive the inevitable summertime droughts when they arrive. Really, I think I probably should have tried to wait until autumn to plant Tiarella and give it a chance to settle in through a winter before having to face the summertime Tennessee heat, but given the prices and selection at the PPSMT plant sale, I thought I'd take a chance, cross my fingers and hope they pull through OK.
Veronica spicata, Spike Speedwell, "Giles van Hees"
- Veronica spicata, Spike Speedwell "Giles van Hees" - I've been so happy with the two Georgia Blue Veronicas that I planted last autumn that I decided to try this new Veronica. Same genus, different species ("Georgia Blue is a V. peduncularis). I think Spike Speedwell is more of a clumper than a spreader, but it is supposed to have much taller and showier flower spikes than V. peduncularis. Although Veronica can reportedly tolerate drought, heat and full sun, it is supposed to grow best in hot summer climates with afternoon shade, so I popped V. spicata into the East-facing front garden bed as well. The native pachysandra is looking good so far. I'll try to post a photo soon. I'd say $200 for 30+ very healthy plants is an excellent deal! Congrats! You have some great plants on your wish list, too! I can't wait to see them as photographed on your blog! Thanks! I totally feel like I scored a good deal. Especially when I looked back at the prices I paid last fall for some (admittedly larger) shrubs and found I spent almost $500 back then (including delivery) for only around 10 plants. Hope to post lots of photos as the plants settle in to their new homes! Wow! What a haul! My Baptisia took about 3 years to get going good, I just wish the blooms lasted longer. About the monarda, unless you want a 15 foot patch of it by the third year I would suggest driving some deep edging around the area where you want to keep it. I'm a big fan of monarda, I have three different ones, but I've spent the last 3 years trying to reduce the size of it and have even resorted to Roundup trying to contain it. I plan on putting barriers around what I have left, hope that works because I do so love the scent and flowers. Thanks Randy. 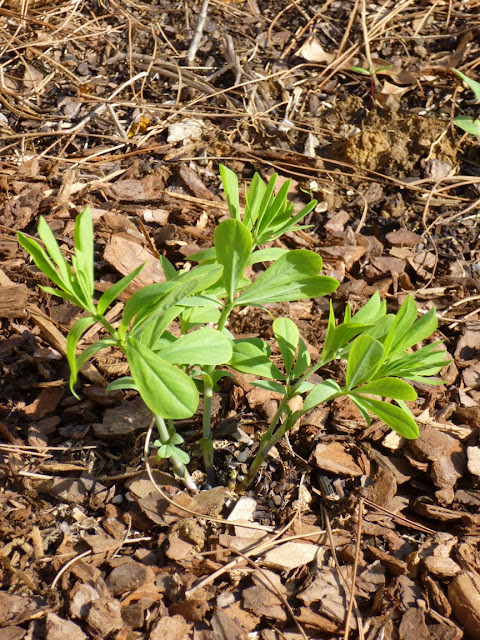 I've heard that Baptisia can take a while to settle in. We'll see how it does this year. I'm not too concerned about the Monarda spreading. (Famous last words of gardeners overrun by rampaging Monarda?) I've read (http://forums.gardenweb.com/forums/load/mwgard/msg0515483017173.html) that Monarda is not that hard to pull if it gets out of control, so I'll probably try manual control at first. Edging it could be hard because there's an irrigation line buried not so deeply nearby. But I'll try to keep a close eye on it! Good to know that Heliopsis self-sows too. Do you grow yours from seed directly in the garden or do you start them indoors? 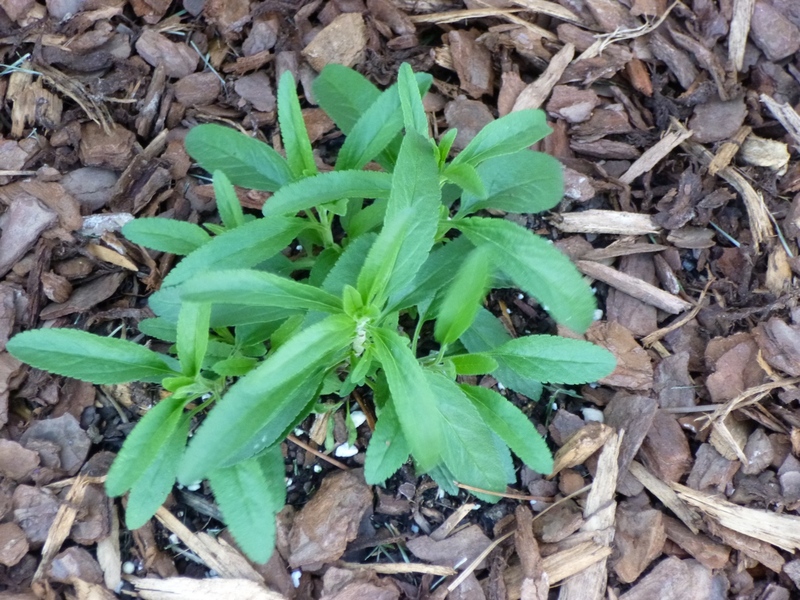 (I've discovered I'm not that good yet at seed-starting as you can see from my most recent post -- http://www.gardenofaaron.com/2013/04/transplanting-day.html) Any preferred sources for Heliopsis seed?